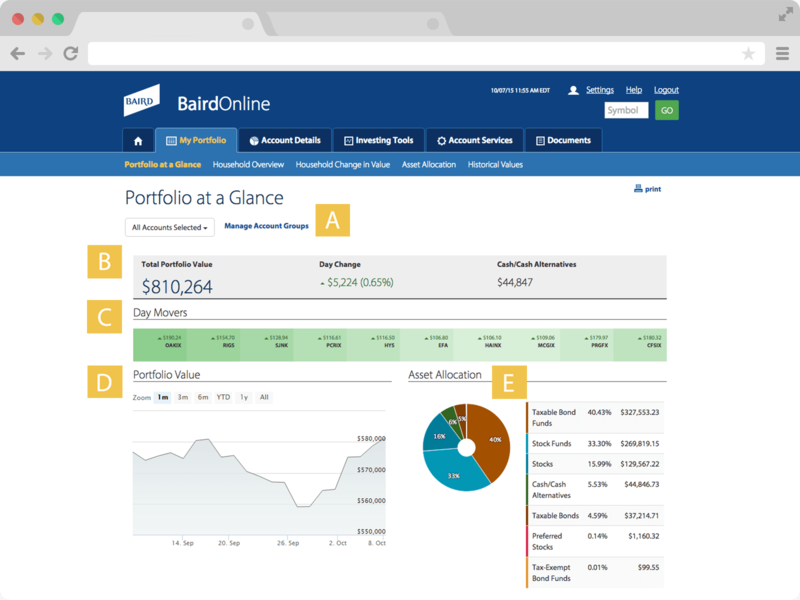 My Portfolio is a section that allows you to view and navigate your portfolio balance information at the household level, review your change in value, and display asset allocation. 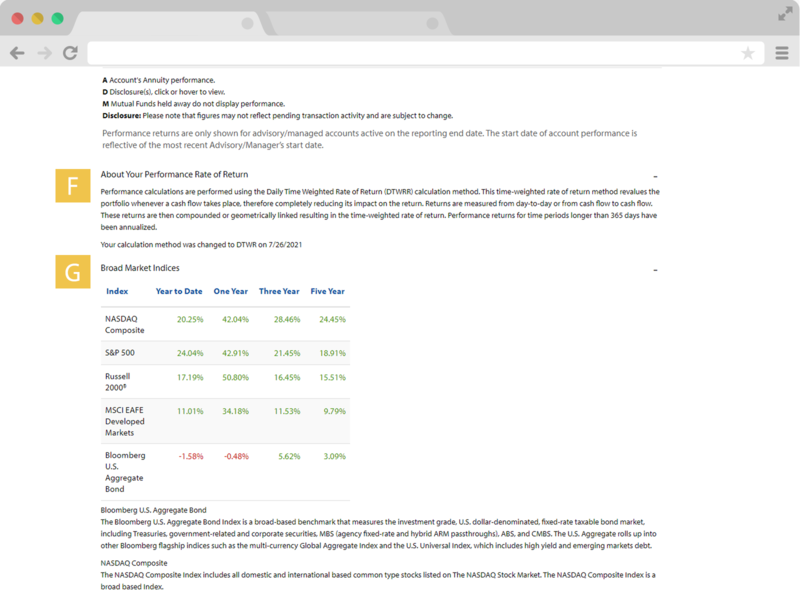 Close-up of My Portfolio sub-navigation. 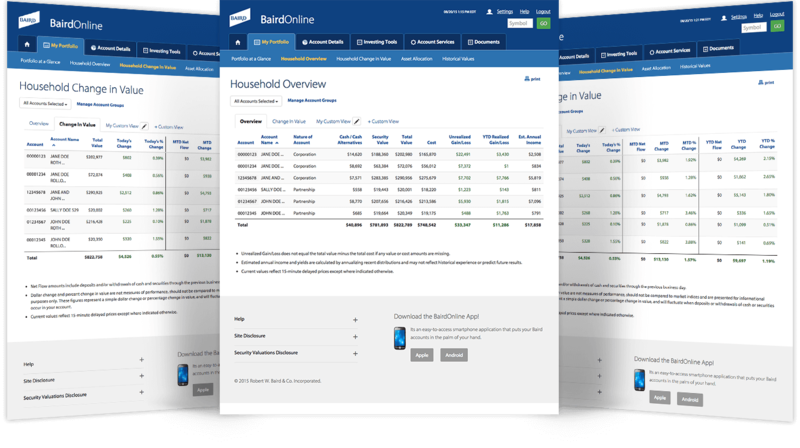 | Click image to enlarge. 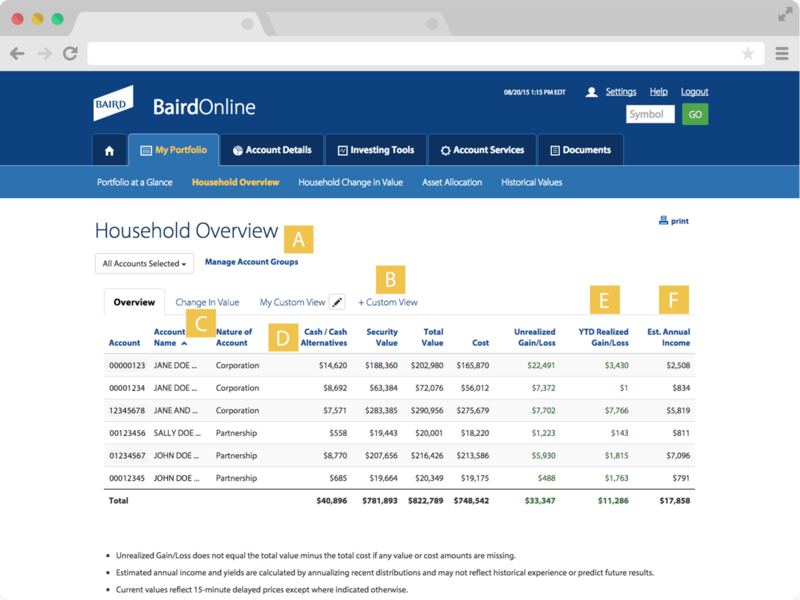 From left to right: Household Custom View, Household Overview, Household Change in Value (See next tab for more detailed information.) | Click image to enlarge. 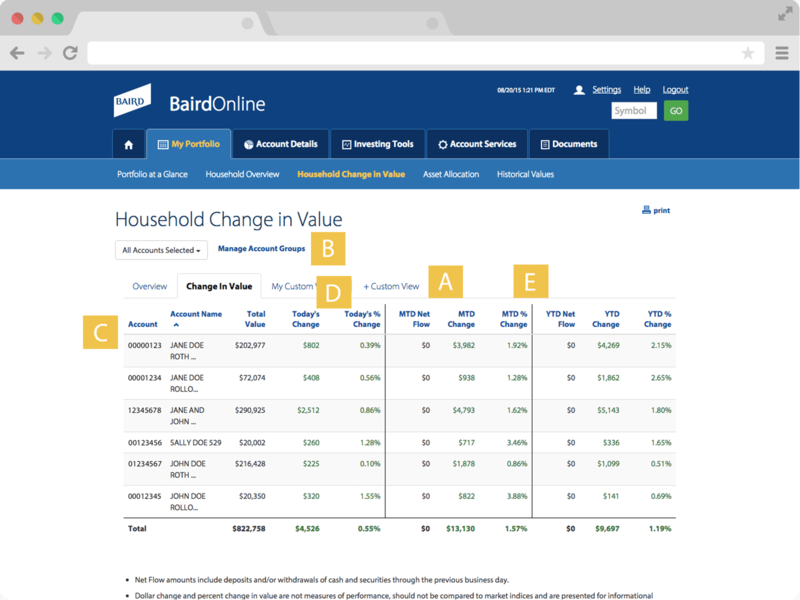 The Household Change in Value screen lets you track value changes for each account in your household by comparing current intra-day values to previous end-of-day, month-end and year-end valuations. 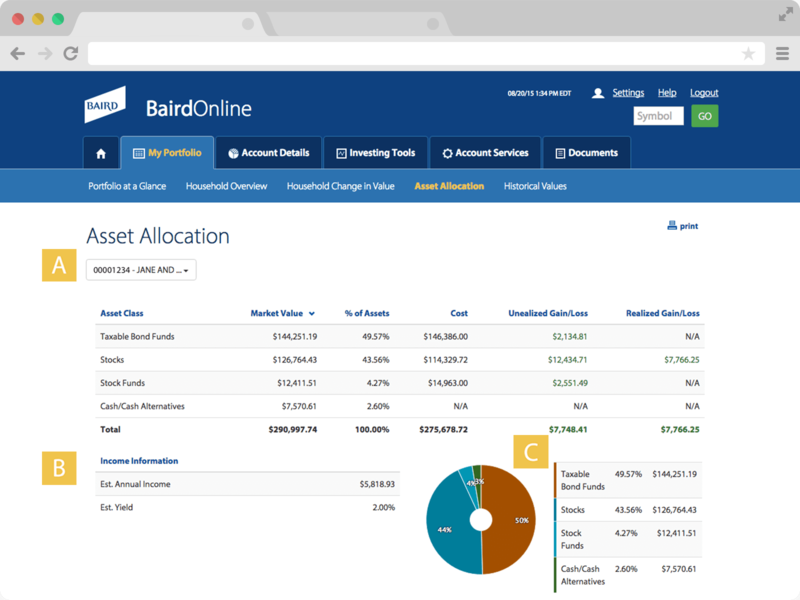 The Asset Allocation screen allows you to view positions by asset class, and includes a summary of cost basis as well as unrealized and realized gain/loss information. 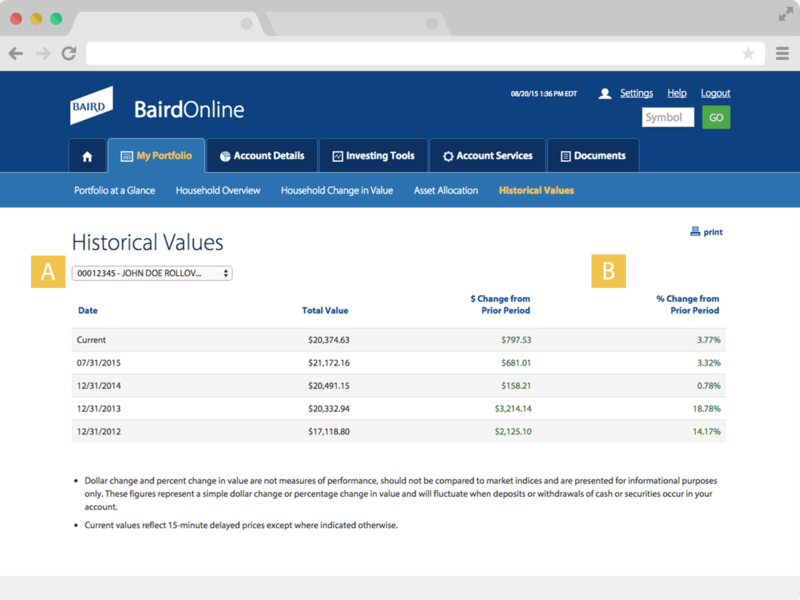 The Historical Values page allows you to view year-over-year historical values and respective change in value by account. 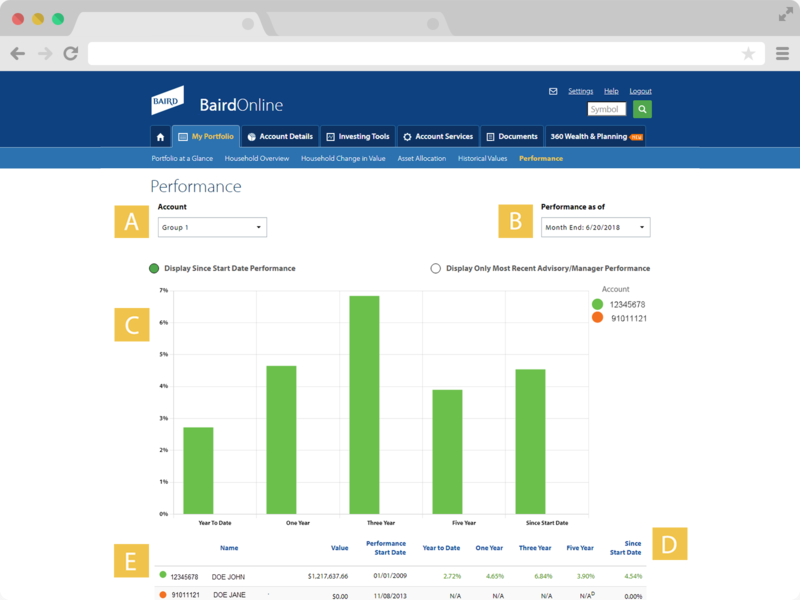 The Performance feature allows you to view your account and portfolio performance as of the previous month end.